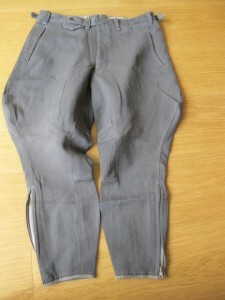 Third Reich Luftwaffe Officers field grey breeches. Complete with belt loops, fob pocket and all original buttons. Nice overall condition. Ideal for completing mannequin. 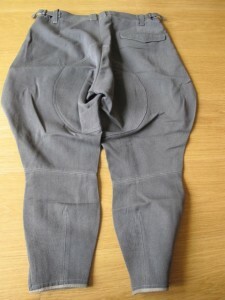 Waist measures 36 inches approximately and inside leg 24 inches approximately.